8 rockets fired from Gaza. 2 injured, including child. Iron Dome intercepts 2 rockets. 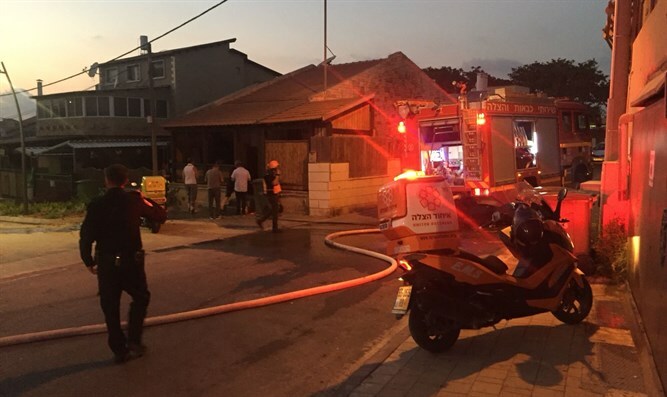 At least two people were lightly injured when a rocket fired from Gaza struck a house in Sderot Wednesday evening. United Hatzalah treated numerous people for shock following the rocket strike. The rocket attack caused the Red Alert siren to sound in the south. Eight rockets were fired from Gaza, the IDF stated. The Iron Dome missile defense system intercepted two rockets. Earlier, terrorists from Gaza opened fire at a group of civilians working on the security barrier. However, reports are circulating about a possible ceasefire between Hamas and Israel. On Monday, London’s Asharq Al-Awsat claimed that Hamas had agreed to a “gradual ceasefire” in exchange for Israel reopening the Kerem Shalom crossing.